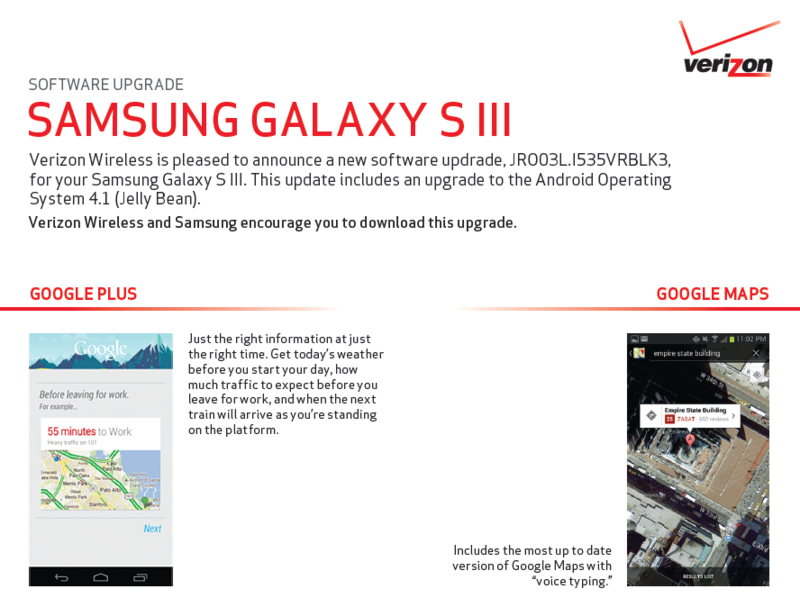 Update: Verizon has since removed the document (maybe to fix the typo we pointed out, though who knows), and changed it back to the document for the last update to the GS3. We'll let you know if that changes. Update #2: The document is back, this time correctly identifying Google Now as Google Now instead of Google Plus. 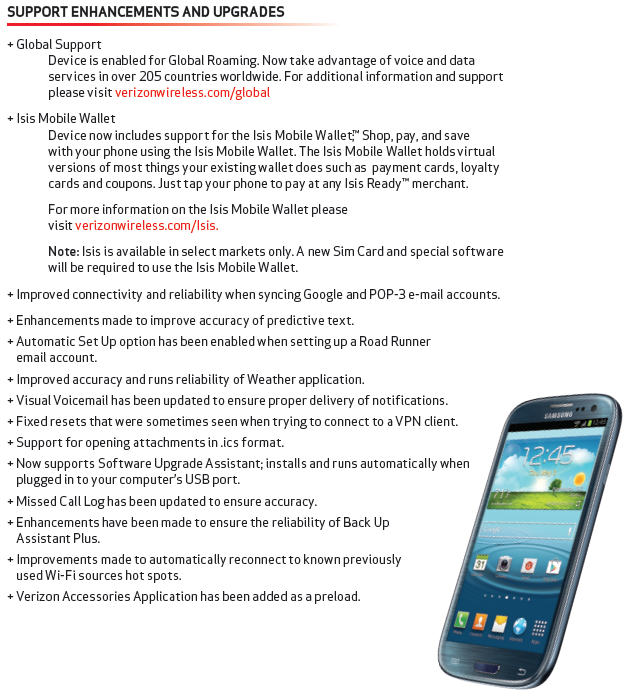 Verizon has posted up the official support documentation for the Android 4.1 update to the Galaxy S III, meaning an update should be on its way in the next week or two (typically - there are cases where delays happen). 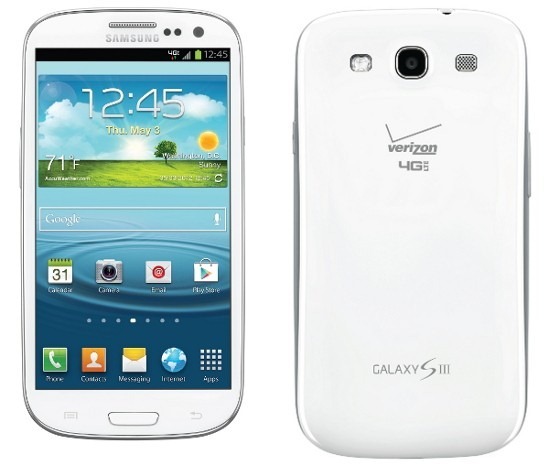 Sprint, AT&T, and T-Mobile have already had their variants of the S3 updated to Jelly Bean, so that makes Verizon last. As usual. The update, version JRO03L.I535VRBLK3, brings everything you'd expect - Google Now (which Verizon has decided is called Google Plus), expandable notifications, and all sorts of other stuff. See the detailed changelog, below.